The ten days we were in Sweden have gone by as fast as a galloping elk, but they’ve left an equally big impression. Looking back, we both liked Göteborg better than Stockholm, despite many warnings beforehand that it would be the other way around. Göteborg is smaller, therefore more accessible; and all the students make it merrier, more youthful, but also less touristy than Stockholm. Of course we may have been under influence of better weather in Göteborg, and we haven’t visited any of its darker parts that travelpedia warns about. The way the Swedish tour guide in the Stockholm Stadshus pronounced the word Maelaren (a lake outside Stockholm): a dry and short but emphasized ae sound, a thickish l, a very short but still audible a (not uh), followed by the most beautiful r, rolling, round, guttural… The Swedish language overall was a two-faced experience for us: unable to make out anything anyone said to us other than ‘hej’ and ‘tack’, we did recognize many written words, often more from Dutch or German than from English. The Stockholm Stadshus (city hall) is another recommendation by the way. You must join the guided tour to visit it–something we don’t usually care for–but it wasn’t dreary at all. You get to see all the highlights with to-the-point commentary in about 45 minutes. Choose the woman guide if you have a choice, for Maelaren pronounciation bonus points. The smell of fish (mussels even, in the entire Stockholm city museum; good thing we weren’t hungry) and dill (particularly on a small but colorful street market in the Katarina Bangata). Dill seems to be everywhere and on everything in Sweden. Sort of a national herb. The rabarber och hallon paj (rhubarb and raspberry pie) in the Espresso House, accompanied by a capuccino. Forget Starbucks; when is Espresso House coming to Holland? The wild, haunted and/or icy look in the steel blue eyes of so many Swedes (not that many did look directly at me–but that may have been me). Many Swedes have beautiful, expressive faces and dress very fashionably. (An observation by M., of course). The smell of old boats (oil, wood, sea water) on the ships in the Maritiman museum in Göteborg. If you only have time for one museum in Göteborg, go to the Maritiman. More things to see and do when you’re in Göteborg: visit the botanical gardens, the design museum and a collection of 19 ships floating in the harbour. Finally I would really recommend the Maritiman museum, a collection of 19 ships and boats floating in the Göteborg harbour. You get to walk on as well as inside the ships, which is a great experience especially as the collection includes an impressive destroyer from the Swedish navy and a submarine. The destroyer has a very ‘real’ feel about it, as it’s fitted with mannequin dolls in navy costumes playing captain and first officer, and sounds of radio and morse signals echoing along the way. There’s a lot of very steep steps of course, and for the submarine you’ve got to descend on a small ladder, but that was definitely worth it. I shot about 200 photographs, with all those boaty and watery details being easy targets. Today we took it easy, walking around the Slottsskogen park, seeing more elk, and doing some relaxed Saturday afternoon shopping. Luckily there’s enough Swedish design to be admired in the shops, if not in the museum. Wifi on our trip to to Sweden is proving to be a mixed pleasure. In Stockholm, free wifi was abundant: in our shabby guest room (don’t know whose router that was, switched over to ssl to be on the safe side), at the Espresso Houses, in random shops; just not at Skansen and the Royal Palace (can the Swedish royal family live without Internet?). In Göteborg, it’s a different matter. Our hotel (not shabby at all, hotel Vasa) has free wifi in the rooms; anywhere else there’s wifi allright, but there’s nothing free about it. So no Internet while I’m typing this (thank you WordPress iPhone app) at the Göteborg NK Espresso House, enjoying a large cappuccino and a rhubarb/raspberry pie. A small one. Yesterday I saw some stunning photography from the Farm Security Administration collection at the Göteborg city museum. Apparently in the 1930s the government sent photographers out in the field to document how people lived at the time; which was around the time when my own parents were born. Beautiful shots of people from around 1935-1940 staring you in the face. I can never get enough of staring back. It may be the closest thing we have to a time machine. I’m in ABBA country. So many Agnetha and Björn look-alikes have passed me by these last couple of days, I swear I wouldn’t have been surprised at all if someone had started singing in the street. The first half of the trip took us to Stockholm. A wet city, as it’s built on islands, but also because of all the rain we had. We had fun at Skansen, a combined park, outdoors museum and mini zoo. It’s located on one of Stockholm’s greener islands, Djurgård, which is also home to the Vasa museum. This museum is built around a complete and original 17th century warship, the Vasa, named after a Swedish king. The ship sank on its first trip, only hours after it had left the wharf. We heard a tour guide explain how this might have had something to do with ever-changing requirements during the design and building of the ship. Sounds just like a regular IT project, only with boats. There was a lot of shopping to be done of course, interspersed with cappuccinos at the Espresso House and strangely sweet yoghurt ice creams at the Gallerian. Stockholm’s city center looked a bit dreary in all that rain. The large amounts of concrete used to renovate the city in the 50s and 60s didn’t help either. It could easily be used as the décor for a cold war spy movie, with a Russian spy defecting to the West. This plan was doomed from the start: leave from work at 4PM and try to reach Antwerp within two hours, so I could collect my badge and goody bag tonight instead of tomorrow morning (together with 2000 fellow JavaPolis visitors). 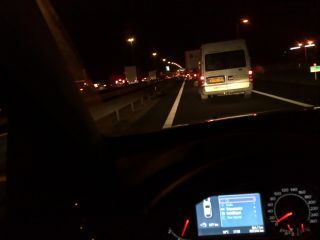 It was worth a try, but I should have known you can’t beat the Dutch rush hour at its peek. Exactly one hour late (an hour spent halfway through in a traffic jam caused by people looking at an accident on the other side of the road) I entered the Metropolis building–only to be disappointed by Stephan himself. So that’s one beer less to drink tonight, in an attempt to go to bed early and be on time tomorrow morning. Anyway, all will be forgotten when I sit down tomorrow for the first keynote–and after that for all those sessions I’m looking forward to: Gosling, Gafter, Bloch… Sessions about EJB3.1 and Guice and Scala… (Of course, since I didn’t get the goody bag with the program yet, I’m listing all these from memory so I’ve probably forgotten one or two). I’m sorry to say I will probably miss the JRuby session with Ola Bini and Charles Nutter: you can only see so many introductions into Ruby and Rails.